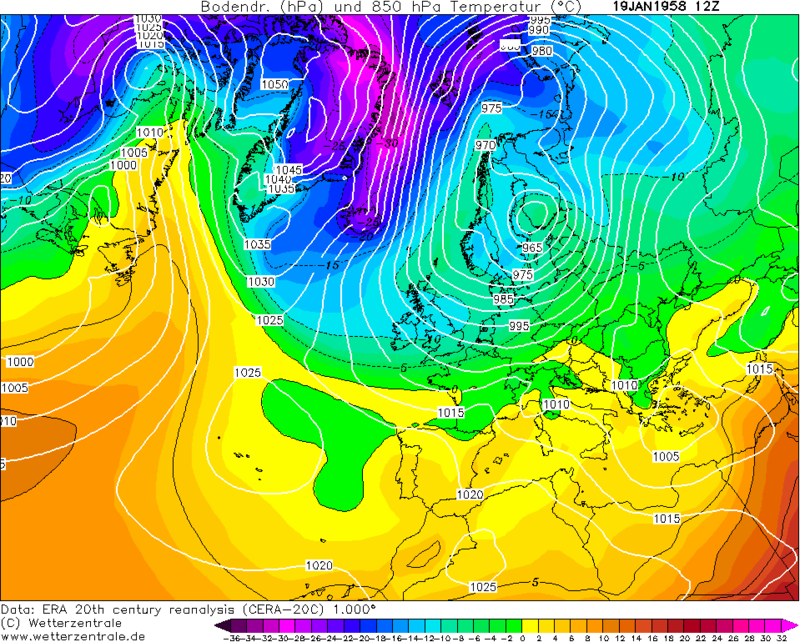 I knew I was forgetting one - the December 2000 northerly. Edit: As per Sryan's link, 38cm at Malin Head in January 1958, wasn't too far off! Max snow depths throughout the country on 28/12/2000, back in the good old days when all the stations were manned (at least part-time). Click on individual station for hourly data. Now I get why I couldn't remember that one! 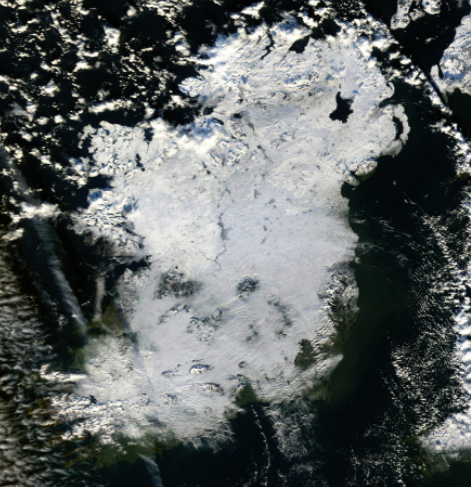 27 inches of level snow was recorded at Aldergrove, Belfast on the 20th. There was a "very severe snow storm" in January 1884 according to the following resource. It lasted a fortnight. The snow was three feet in depth in the fields and on sheltered roads it was from four to five feet in depth. A number of sheep died during the snow for want of food. The country people had to cut a path through the snow for foodstuffs. As far as I can see from reanalysis, January 1884 was a zonal month with a notable deep depression in the last week. But there was this low at the start of February 1884 which had cold air on its back edge. That does look like it could produce snow but I wonder if this account is a mistaken memory of January 1881? According to CET data it didn't stay cold very long after that snowfall and the rest of both January and February 1884 were generally mild. Worth noting perhaps that in North America the parameters can be different, and this may explain why for example certain weather apps are not that reliable. Without warm seas nearby, the critical thickness for the snow-freezing rain delineation is about 530 dm. It can rise as high as 542 dm when a storm causes rapid inflow of cold air under very mild air inland from the Atlantic seaboard. And 850 mb temps that can support snow can be as high as -3 C, although -6 C is probably considered thresh-hold in most cases. We sometimes see weak analogues of this more continental regime for snow when cold air is entrenched over Britain and frontal dynamics are weak in a slider situation. However, big North American snowstorms usually have slam-dunk uppers that cause no doubt in the minds of forecasters. The recent blizzard across MN, WI and MI states hit with -15 to -20 temps in the heavy snowfall zone and the thicknesses were falling fast away from 520 dm. 1. Expect the surface temps to end up within 5 degrees of the Irish Sea temperature even with strong upper dynamics and strong winds. But expect more like a 3 degree differential when the air mass is moving at relatively slow speeds. 2. Count on zones of mixed streamer precip to be present over the water and to make some limited progress inland even in ideal support situations. The analogue would be lake effect in November in the Great Lakes which often falls in mixed form over the lakes even when it comes sweeping inland as all snow. 3. The North Sea is wider so its effects are even more notable on eastern England marginal situations. Snow can be prevented in coastal areas at surprisingly low thickness - 850 temp and air mass dp parameters just because the air is forced to warm up to North Sea temperatures by the long passage over water. You almost never see those oil platforms colder than +2 C no matter what readings occur later over northern England.